Date: Nov 30 2018, 7 p.m. - 10 p.m.
Open to the public. 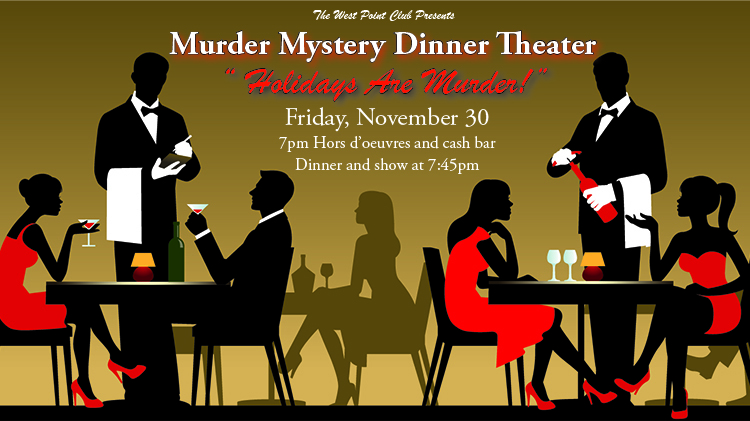 Enjoy and evening of crime and cuisine at the historic West Point Club. This full immersion experience will delight and intrigue guests as everyone tries to solve the murder mystery! Actors are seated among you so you never know what will happen next. Hors d’oeuvres and cash bar at 7pm. Dinner & Show start at 7:45pm.